Netflix Beyoncé documentary Homecoming trailer excites fans. The Netflix Beyoncé documentary Homecoming: A Film by Beyoncé is coming on April 17, and will explore the moments that led to the singer’s iconic 2018 Coachella performance. Watch the trailer for Homecoming. Post continues after video. 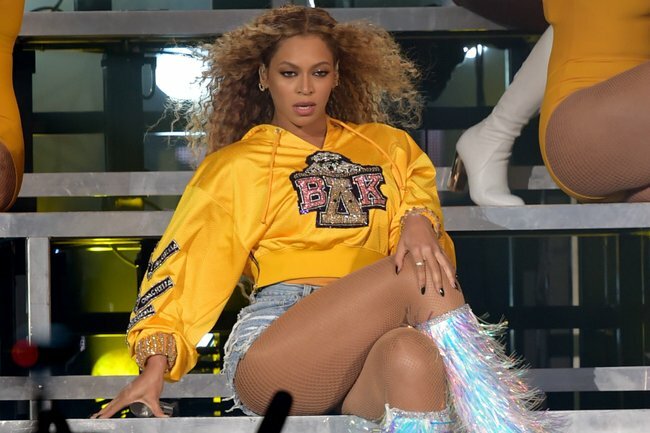 Beyonce Knowles’ Coachella performance last year was so good that there were people renaming the festival after her: Beychella. After surprising fans by bringing out her husband Jay Z to join her, they were just about losing their minds when she reappeared onstage alongside Destiny’s Child members Kelly Rowland and Michelle Williams. The trio then put on a spectacular performance of their hits including Soldier and Say My Name. Beyonce’s headline act – which also included an appearance from her sister Solange – was two years coming. The 36-year-old was due to perform in 2017, but had to pull out months after she was announced on the line-up because of her pregnancy with twins Rumi and Sir. It was a spectacular performance that will be remembered for the ages, and we are very excited for a sneak peek into what happened behind closed curtains.